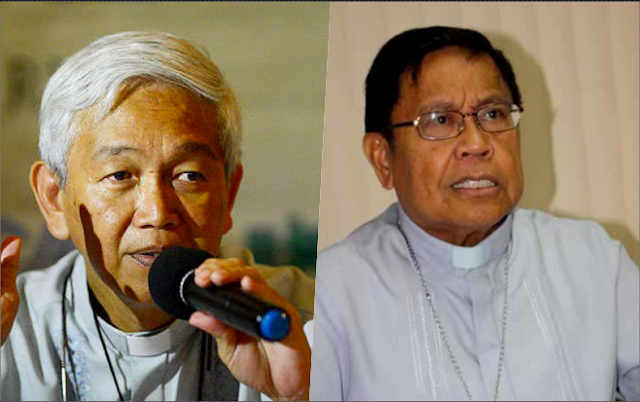 Catholic prelates, Sorsogon bishop Arturo Bastes, and Manila Auxiliary Bishop Broderick Pabillo, recently shared their thoughts towards President Rodrigo Duterte's war on drugs that has been going on for the past two years already, and the case that the International Criminal Court (ICC) has begun to take against him. The president is currently under investigation by the ICC for the alleged human rights violation that has been occurring during the carrying out of the campaign against illegal drugs. Bishop Bastes showed his approval towards the ICC investigation, saying that he is greatly concerned with the increasing number of deaths. He adds that Duterte's affirmation that he will continue in being unforgiving in his campaign, only encourages more people to create more murders. 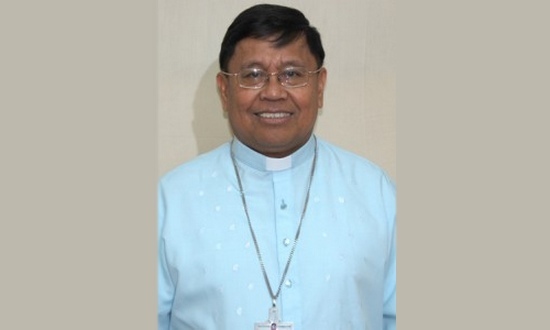 “I hope that this case against Duterte at the ICC will prosper because the extrajudicial killings due to the war on drugs are increasing in number,” Sorsogon Bishop Arturo Bastes said in an interview. “Duterte himself said that his drug war will remain relentless, which encourages more murders to be committed by his men. This is an appalling violation of human rights which an international body must investigate,” he added. “Let the ICC do something about this situation to lessen the number of Filipinos killed during his regime,” said Bastes. Pabillo has echoed these sentiments, saying that that in order to fight the culture of impunity in the country, a filing of a complaint should be welcomed. “I welcome the cases of abuse of human rights filed in ICC. We fight the culture of impunity. Those who abuse human rights should be made answerable. They should prove in court their innocence,” he said. 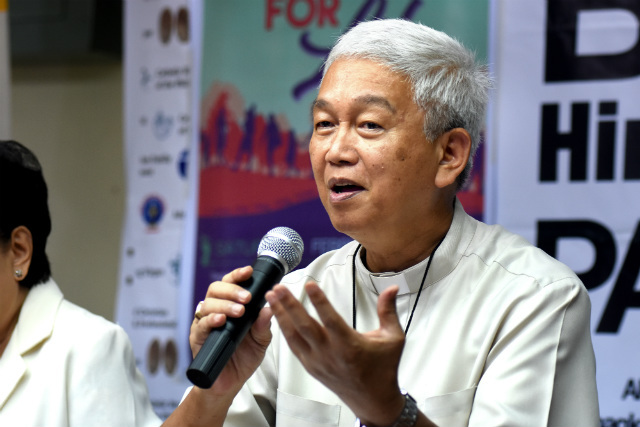 Balanga Bishop Ruperto Santos, although agreed that Duterte shoul be tried, he says that the better court to arbitrate this are local courts, and not an international body. Santos believes that the Philippines is a sovereign land and rightfully, it should be the Filipino people that should try the president for any mistake he has committed. “We are a sovereign country. We have our courts to try him, and better to try him here. 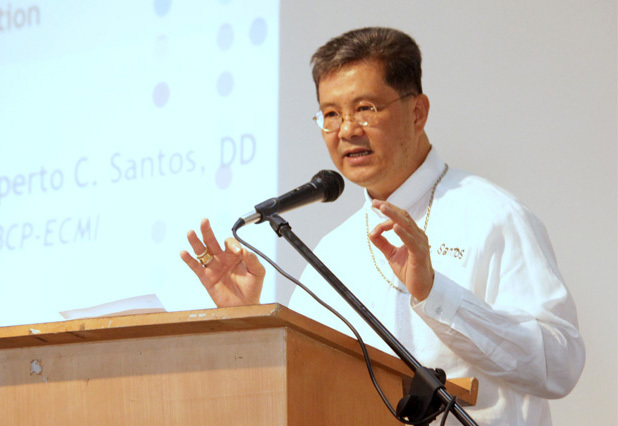 Let our Filipino people, court to judge him, not foreigners, not in foreign lands,” he said. The complaint filed towards the ICC was made by families of the victims of drug-related killing and Rise UP for Life and for Rights. they were able to file the complaint with the help of the National Union of People's Lawyers. In their complaint, they said that there have been thousands of deaths due to the war on drugs and that it is an "inhumane act causing great suffering to the victims and their families". “The communication and complaint filed with the office of Prosecutor Bensouda aims to make President Duterte, being the most responsible, account for his crimes against humanity committed through acts of murder for the extrajudicial killings of thousands of Filipinos and other inhumane acts for causing great suffering to the victims and their families under the Article 7 of the Rome Statute,” said Atty. Neri Colmenares, national chair of NUPL, in a statement.